The girls varsity volleyball team poses for a group photo after winning CIF-SS Division I Championship on Nov. 11 against Marymount. 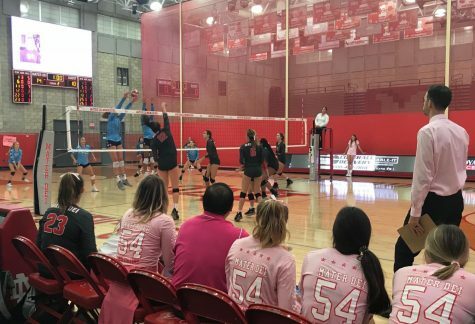 The varsity girls volleyball team again defeated Marymount of Los Angeles in a rematch on November 11th during the CIF-SS Girls Volleyball Championship at Cerritos College in three sets: 26-24, 26-24, 25-21. 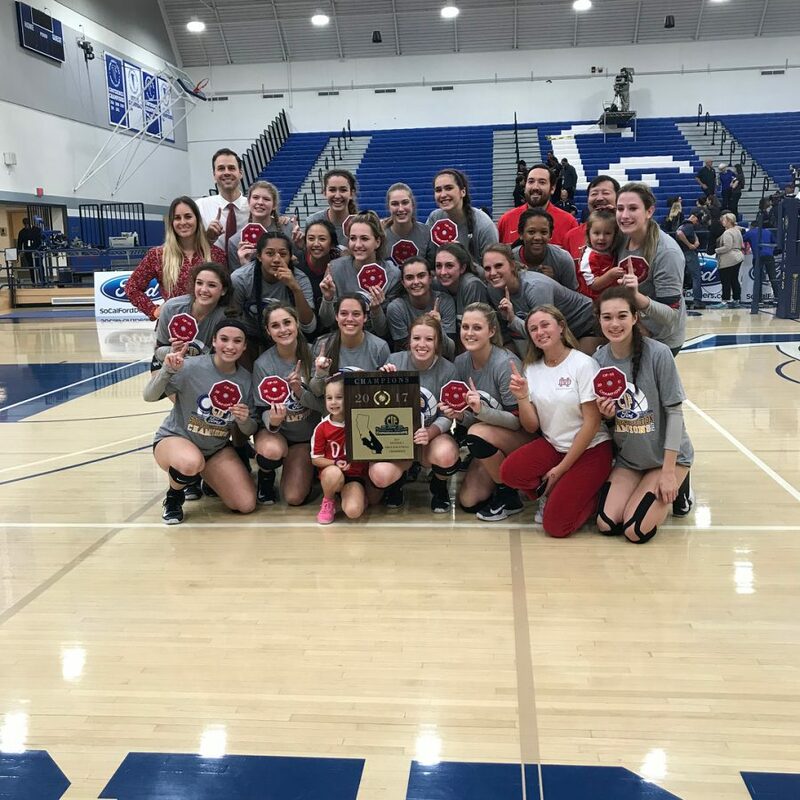 This is the Monarchs’ fifth CIF-SS girls volleyball championship since 2015. 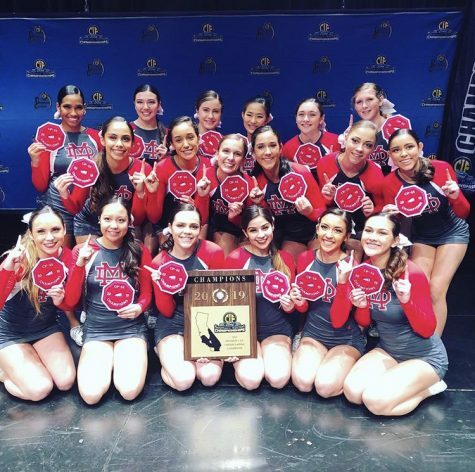 Although the team lost to Archbishop Mitty at last week’s CIF State Girls Volleyball Championship, Campeau said the team has tried focusing on the positives. 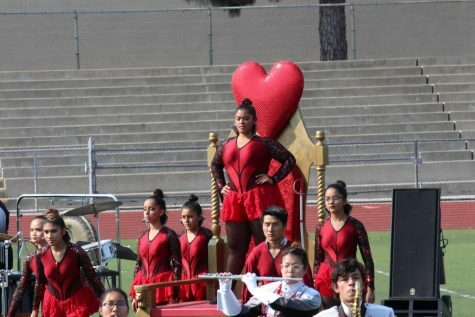 “We all love each other so much and were more sad that the season was over, rather than the fact that we’d lost, especially because we accomplished so many great things through the season,” Campeau said. 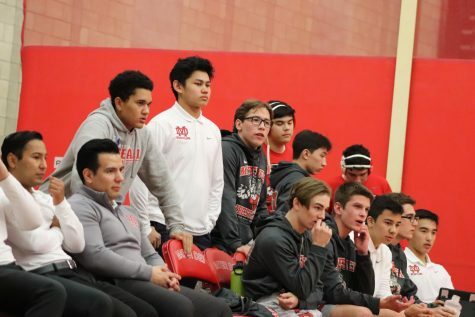 “We sustained some injuries in the middle part and had to adjust our line up a couple of times,” said O’Dell, who is also a Mater Dei math teacher. Back in October when the girls played Marymount, the team was down three girls, juniors Mandalay Rennon and Brielle Mullally and senior Erika Calvagna. 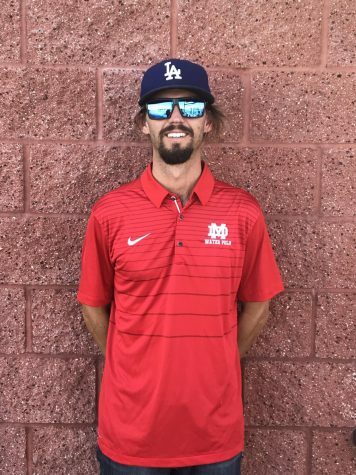 O’Dell felt “getting those girls back were part of the deal” to play Marymount again in the CIF-SS girls volleyball championship. 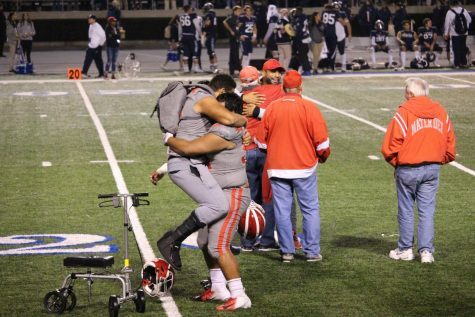 According to O’Dell, the team prepared for the CIF-SS Championship game beforehand by scouting reporting their opponents. During practices, the team worked on implementing new strategies and new movements on the court and setting up game plans. They also prayed before every game in the chapel with Helen Steves, the Director of Campus Ministry. 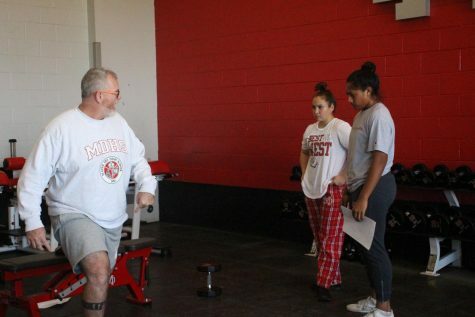 In the off months, the girls join club volleyball to stay motivated and active. Tuaniga said that “continuing training, getting stronger, faster and staying healthy” will help them prepare for next season.